You may know exactly what you want to do and be after you graduate from college. But why limit your outlook to just one area of the world? When you pair your studies with a degree offered by SVSU’s Department of Modern Foreign Languages, you unleash a new realm of possibilities for yourself. As a Cardinal at SVSU, we’ll give you skills to be an educator or a foreign correspondent. Or, we’ll show you how to bring your business skills to boardrooms beyond this continent. Whatever your aspirations, SVSU’s Department of Modern Foreign Languages can help you achieve them. Approved by both the Michigan Department of Education and adhering to guidelines of the American Council on the Teaching of Foreign Languages, SVSU’s programs promise to equip you with the communication skills required for language proficiency. 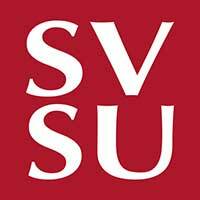 Your story starts when you apply to SVSU. SVSU draws students who care about changing the world. Take Natasha Riegle, a criminal justice major and Japanese minor with her sights set on serving the federal government abroad. In fall 2017, Natasha earned the highly prestigious Boren Scholarship to study in Japan. The Boren Scholarship, an initiative of the National Security Education Program, provides unique funding opportunities for U.S. undergraduate students to study less commonly taught languages in regions critical to U.S. interests. Natasha brought her Cardinal enthusiasm and determination to Japan, committing to serve with the U.S. government for a year in exchange for the experience. Our Red Pride for Natasha runs deep, and we know this is just the start of her unique journey. SVSU offers both majors and minors in French and Spanish and a minor in Japanese. You can also choose to pursue a French or Spanish major or minor with a teaching certification. The Department of Modern Foreign Languages offers immersive experiences and a comprehensive language lab to develop proficiency. Our faculty integrate technological resources, online tools and multimedia in their courses, ensuring you engage with a language in a variety of contexts and forms. The Spanish, French and Japanese programs all hold weekly conversation hours where you interact with native or near-native speakers, improving your skills in the best way possible: practice. Click to explore the course details of the program that most interests you. Cardinals who major in a foreign language work in all kinds of fields—education, government and business as well as the fine arts and sciences and even technology and translation. And with SVSU’s 95 percent job placement rate, you can feel confident in the degree you earn as a Cardinal. The world’s a thrilling place—let us help you prepare to engage all of it. SVSU connects you with many student organizations invested in language, culture and international travel. Here, you’ll discover opportunities to meet native speakers, practice using a foreign language, attend campus-wide multicultural events and travel to participate in foreign cultures yourself. SVSU also hosts a number of campus events like Foreign Language Day and the French Film Series. In addition, SVSU partners with the Japanese Cultural Center & Teahouse to promote understanding of Japanese language and culture both for our students and for the region. Click to discover the full scope of student opportunities available for foreign language students at SVSU. At SVSU, we understand your study of a foreign language means you have a thirst to understand and interact with cultures different than your own. So our MFL department is committed to empowering every student through multicultural experiences. And that commitment shows in our fellowship and internship opportunities. For example, SVSU partners with Morley Companies to offer the Morley French Immersion Fellowship. That means up to two SVSU students are selected each year to participate in a language immersion program at Université Laval in Québec, followed by a paid yearlong internship using their language skills at Morley Companies in Saginaw. Likewise, through the Health Professions Internship, Spanish students at SVSU can attend the Universidad Nacional De San Martin in Argentina or the University of Guanajuato in Mexico. Click to learn more about the host of opportunities available when you pursue a foreign language program at SVSU. More than just speaking a language, SVSU knows you long to experience it. As a foreign language student, you get added benefits and incentives for studying abroad. Many scholarships are available to Cardinals studying a foreign language—from the MEXT Scholarship and Bridging Scholarship for the study of Japanese to the range of university scholarships available to all foreign language students. As Cardinals, we care, and SVSU is here to help your dreams of studying abroad become a reality.